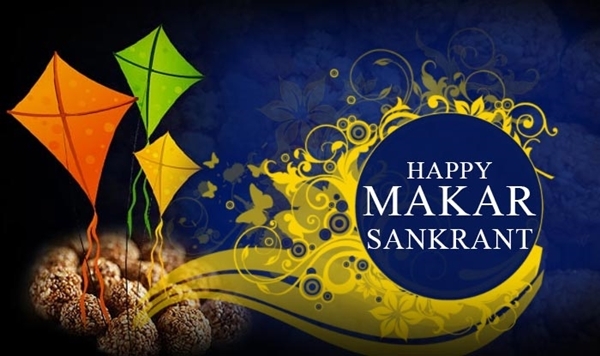 Happy Makar Sankranti Date 2019 in India: Celebrated on 14th of January every year, Maker Sankranti is one of India’s most important festivals which is celebrated with utmost enthusiasm around the country. Considered to be a very auspicious day for the Hinduism followers, the festivals is multifaceted. One can witness the multiculturalism of the country that speak more than 22 languages, follow different traditions and practice various religious norms, celebrating this day in their own way. Basically is it considered to be the festival of the farmers as they celebrate the ending of the harvest season? Also it holds great celestial significance as the sun enters the tropic of Capricorn (sign of maker) from the tropic of cancer and marks the new beginning. The word “Sankranti” literally stands for this movement of the sun from one zodiac sign towards the other. The festival is also widely known as the kite’s festival since it has been year’s old tradition to fly kites during the day hours. This adds more colors and excitement to the celebration. Different religious beliefs associated with this day, makes it a substantial and significant day for people from different religions and cultures. Why is Maker Sankranti celebrated? If to believe on the Hindu mythology, it is believed that lord Surya pays a visit to his son Lord Shani on this day. Lord Shani is considered to be the representative of Capricorn. Hence, it is tagged to be the best day to celebrate the healthy relationship between father and son. It is believed that if a father would visit is son on this particular day, their bond would strengthen more, neglecting all sort of conflicts and differences. The festival is expected to bring peace, happiness and love in the relations. Another mythological story linked to the festival speaks of Bhishma Pitamah who was granted a wish to choose a suitable time for his death according to his desire. Despite of lying close to his death, on the bed of sharp-pointed arrows, he waited for the pious and significant span of Uttarayan. Since then, people consider this period as auspicious and believe that whosoever dies during this period attains salvation. The third story recites the significance of the day in respect to the mythological incident where Mata Mahishasurmardini stepped on the earth for the first time in the Kataraaj ashram of Rishi Kardam and Devahuti, with the objective to devastate Mahishhasur. Also people have always perceived the day to be the beginning of an auspicious phase to perform all sorts of rituals. The commencement of this period also is a clear indicative of the transition from the inauspicious phase, beginning from December, to the holy phase. Days become longer and warmer post it. It is called by different names in various parts of the country but the zeal and significance of the day is the same everywhere. The Guajarati’s celebrate is as Uttarayan while it is known as pongal in Tamil nadu. In goa and Maharashtra the celebration is held for three days consecutively. People rejoice to commemorate the destruction of the Sankrasur rakshas by the goddess Sankranti on this pious day. Thetil-gud lddu are the traditional food item prepared on this day. In the regions of Andhra Pradesh and telangana, the celebration last for four days in order. Old furniture is burnt on the first day and sweets are distributed to have a new beginning. ‘Kanuma’, the second day sees the distribution of food among the livestock, fish and birds. A great number of people participate in events like bullock and ox racing, kite flying etc. People of west Bengal worship the goddess laxmi on this day. Known by the name of Poush Sankranti, this festival witness chants in the temples and distribution of sweets among the friends and relatives. Known as ‘Maghi Sangrand’ in the state of Punjab, this festival is celebrated by taking baths early in the morning followed by lighting the sesame oil lamps. This ritual is believed to wash away all the sins, push away the evils and bring prosperity into the lives. Dancing and rejoicing around the bonfire is how the people showcase their happiness on this day. Bhangra is the traditional dance form performed by the inhabitants who later on enjoy the meal of ‘khichdi’ and kheer. In the state of Kerala, the pilgrimage spot of Sabarimala is flooded with the believers to become a part of the Makaravilakku' celebrations. Receiving the blessings of lord ayyapan is considered to be of great significance on this day. The festival imparts the message of forgetting the harsh and unhappy past and stepping into an auspicious phase of life with positivity and enthusiasm. The movement of the zodiacs bring a significant change in the planet. Understanding the importance of this change and how its absence would badly affect our lives, the importance graph of this day rise automatically. It is one of the oldest traditions that is being celebrated on the equinox. It is the day when the day and the night are of equal span. As the tilt of the planet reaches to its maximum limit, the days grows longer and the nights become shorter thereafter. People try to bridge the gaps created in the relation, barter the waste and old items for the new stuffs and offer food to the ancestors to have fresh start. Holy fairs like the popular ‘kumbh mela’, ‘gangasagar mela’ etc are over flooded with people who visit the places to wash away their sins and wrongdoings in the holy water. Celebrated as the harvest festival in states like Kerala, maker Sankranti accredits every being which helped in successfully completing the harvesting season. The closure of the harvesting season is celebrated at a big stage. This festival is the occasion to preplan the harvesting for the next season. Meetings are conducted in the villages in the presence of the animals who though don’t respond in the conversations but their presence makes the evaluation easier so as to have a well organized plan.